You're looking at it. And no, I couldn't believe it was the second largest city either. With 83,000 people (where they are, I'm not sure), it's second only to Little Rock, which has 184,000 people. 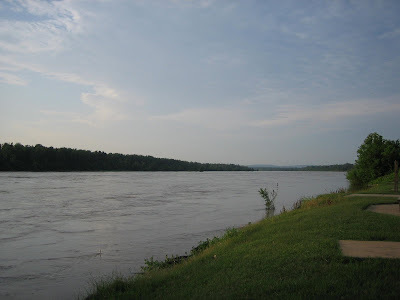 Built in 1817 to "deal with the Indians" (read: steal their land and systematically destroy their way of life), the old fort sits on the banks of the fast-moving Arkansas River. If you follow it west, you'll be in Oklahoma in minutes. Fort Smith is right on the border. If you follow it east, it'll take you to Little Rock (three hours away). 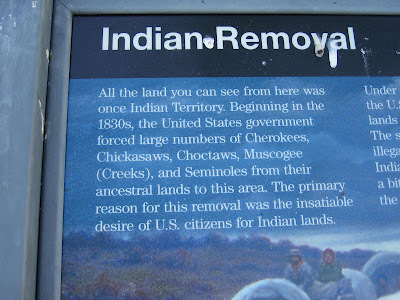 Having coincidentally started to read Bury My Heart At Wounded Knee (an important but harrowing book I recommend only if you enjoy having your guts wrenched out), I am feeling a little queasy to discover that Fort Smith was a major stop on the Trail of Tears. That said, I was surprised that this National Park Service placard along the river was so, well, honest. Despite this unsettling legacy, I am dedicated to giving modern-day Fort Smith a proper date. I already know one thing that's going to help break the ice. Bluegrass. The National Park Service is farm from perfect being made up mostly of humans rather than silicon chips, however, I would challenge you on your "dates" to look at new interpretive signage and exhibits in the NPS. I think you will find more "multiple perspective" and balanced view. Fort Smith is one of the few places in the United States that takes on Federal Indian policy for what it was. 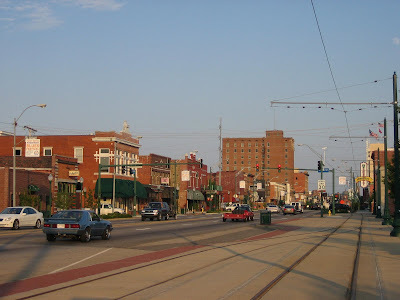 great blog You should consider networking with the moms in the bizymoms Fort-smith community.